Oh, what would I do for this pair of sneakers. Such a cool item to add to my already growing collection not only of Nike sneakers but also sneaker of every kind, make, and model. 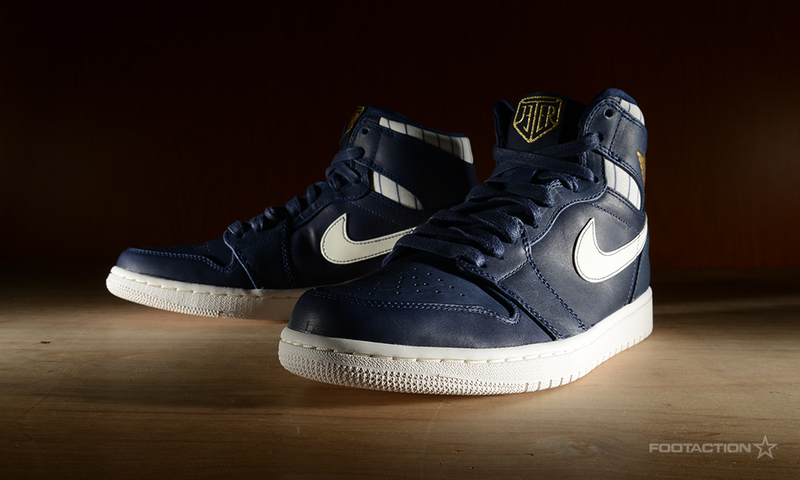 This Air Jordan Retro One Derek Jeter Collectible is a good addition indeed. 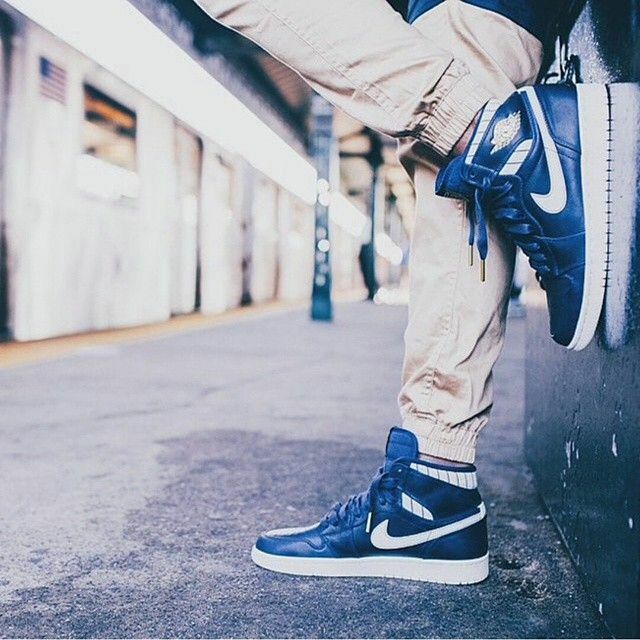 It’s iconic silhouette takes on a Yankees-inspired theme. To add to that, it also has a navy leather upper, a pinstriped collar and gold Wings branding. Of course, Jeter’s personal logo can also be seen . The jogger pants is one f the most common and trendy pants for both men and women in today’s fashion industry. It comes in different styles, prints, cuts, and colors. However, what makes it interesting is that it could become a perfect fit for your pair of Air Jordan Retro One Derek Jeter Collectible shoes, just as shown in the photo. You can play with the colors of your jogger pants as this black pair of shoes fits any color of your pants. You don’t have to worry about that. What you have to worry about is what top to pair it with. But fashionable as you are, I know you’ve got it covered. You can also follow a sports attire or a semi-sport bling-a-bling attire with this pair of shoes, just as shown in the photo. Whatever your outfit may be, for as long as it fits the shoes, then you are good to go! Plus, it is a chance to play with your style and imagination as well as with your fashion statement. Check out eBay for discounted price of this collectible.